Officials say the famous clock at Britain's Parliament has recently been slow by as much as six seconds. It has been used by Londoners for decades to check the time. The 156-year-old clock chimes every 15 minutes. It emits deep bongs to mark the hour. Its error was noticed by staff at BBC radio. It broadcasts the bongs live at 6 p.m.
"Imagine running your car for 24 hours a day, 365 days a year for the last 156 years," he said. Parliamentary officials said that mechanics had corrected the clock to within "normal parameters." That is within 2 seconds of the right time. They will continue to adjust it by placing pennies on the pendulum - or removing them. The pennies are used to fine-tune its speed. Parliament's neo-Gothic clock tower is one of London's most recognizable landmarks. 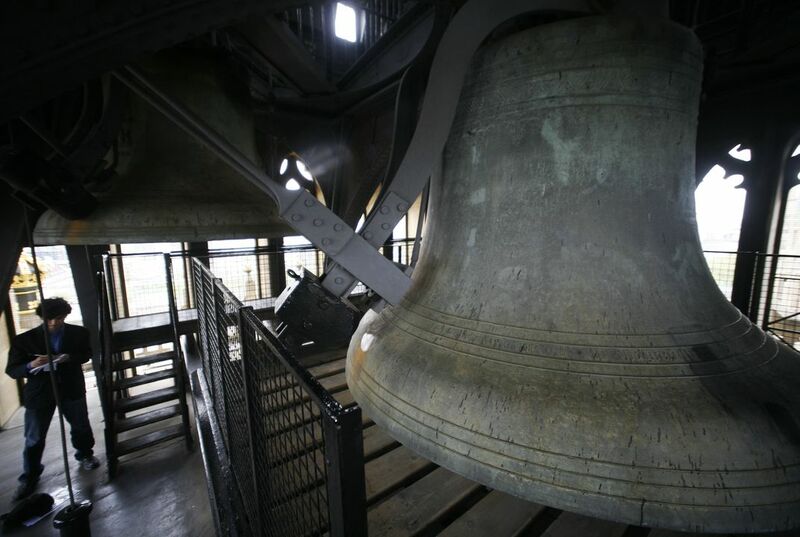 Its bell is one of London's characteristic sounds. The famous bongs echoed through the city without fail through World War II bombing raids. The bongs have been silenced a few times for repairs and by accident or the weather. Although the clock tower is popularly known as Big Ben, the name actually refers to the 13-and-one-half-ton Great Bell inside. The tower was renamed the Elizabeth Tower in 2012. The year marked Queen Elizabeth II's 60 years on the throne. Wow... I cannot believe that such a popular landmark can be fixed with pennies! You would think that one cent would not make a big difference, but not now! The clock that's been there for 156 years... can be fixed with pennies. Anyways, I'm not too suprised that it's 6 seconds off. 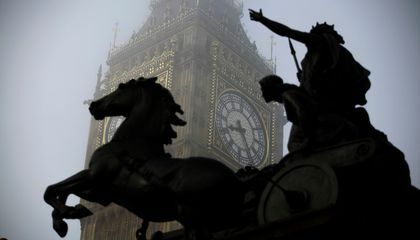 Like they said in the story, Big Ben or Elizabeth Tower, whichever you want to call it, have been around for 156 years. Mechanics use pennies to adjust the time on Big Ben. Mechanics use pennies to adjust the time on Big Ben because they help fine-tune it's speed. It is easy to add more pennies to make the clock go faster. It is also easy to remove the pennies to make the clock go slower. Pennies help fine-tune Big Ben because they are easy to place and remove. I think that it is weird for the Big Ben to have missed the mark by six seconds. I believe that it is really interesting of how they are using pennies as a way to fix the Big Ben. For one reason, the Big Ben is enormous, so it would take a long time to finally fix the Big Ben back to normal. because it makes it slower. Not as fast. they are used to fine tune the speed. The mechanics use pennies to adjust the time to fine-tune the pendulums speed. Mechanics use pennies to adjust the time because there is a great abundance of pennies and they can be used to fine-tune the Big Ben's speed.